STUDIOGÖTZ works closely with clients to build/ transform their home, school or office, to add “wow” to the backdrop of daily life. The process is always an exciting journey, and a privilege for us to be involved! 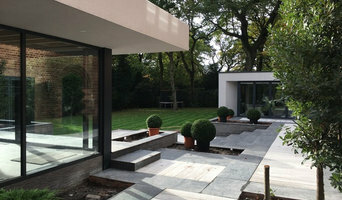 Fleming James Architects is an architectural practice based in Birmingham established by Ian James and Andrew Fleming. Together Ian and Andrew have over fifteen years experience spanning a range of projects of varying scale and budget. They share a passion for architecture and design that forms the backbone for delivering projects of a high quality. Having started their architectural education at the Birmingham School of Architecture, Ian proceeded to complete his studies at the Edinburgh School of Architecture and Andrew at The University of Nottingham. Prior to forming Fleming James Architects Ian and Andrew worked together for a number of years at a large national architectural practice and forged an effective working relationship that is the basis of their partnership. Please do not hesitate to contact us to discuss your specific project requirements we are here to help you. Ben Parsons Design is an Award Winning RIBA Chartered Architect’s Practice that has a strong reputation for producing high quality buildings through rigorous design. We have a repeat client base and we have sustained this through careful development of our clients’ briefs and by making the absolute most of our clients’ budget. Much of our work comes through recommendations from existing clients. Based in Sutton Coldfield near Birmingham in the West Midlands, Ben Parsons Design has projects through the UK including the Midlands, Warwickshire, Staffordshire, Oxfordshire and London along with some exciting overseas projects. 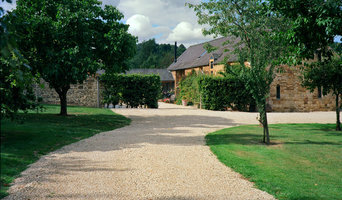 Since setting up practice in 2003, we have been working with domestic clients and professional developers on a variety of project types, and have developed specialised knowledge of Grade II Listed buildings along with experience of barn conversions, house remodelling and extensions of both modern and traditional styles, always with sustainability at the forefront. If you have a project you’d like to talk to us about, please get in touch. By way of introduction we are a firm of 9 committed and experienced staff providing expert advice in residential development and master planning from offices in Birmingham and Worcester, with over 40 years’ experience. The quality of our design work has been recognised by over 40 awards, including the Gold CABE Building for Life Award Gold Award. Mike Lapworth a founding partner of Lapworth Architects is a former West Midlands RIBA President and has received a lifetime achievement award for services to Conservation and Architecture. Our core skills include residential extensions and internal alterations to properties with further professional skills on call from other consultants, with whom we regularly collaborate. We pride ourselves on a good awareness of site and context, a thorough understanding of our client’s aspirations and a holistic approach using our breadth of skills. We seek to blend innovation with pragmatism to produce creative but cost-effective and achievable solutions. DBD Architectural Consultancy has a reputation built on honesty, professionalism and trust. We offer a friendly personalised service backed up by many years' experience in new building design, extensions and planning applications. We understand the importance of getting the design and layout right, so we design your home around your life. We'll listen to your ideas and contribute our skills and experience to produce a quality design solution that perfectly fits your tastes and needs, with sympathy to the surrounding landscape. We offer a full architectural service from initial conceptual design, right through to project completion. We provide flexibility, a positive approach and competitive fees. Get in touch to discuss your project today. The practice is owned by Mark Payne who is a dedicated Professional, a Chartered Member of the Chartered Institute of Architectural Technologists and has 14 years’ experience within Architecture. Before AVD was set up, Mark worked for Architects practices in Leicester & Nottingham, and further worked for UK National Housing Developers where he built up key experiences working on varies project sectors The focus of our design practice is aimed at the Residential, Extension projects, Commercial and Rural Sectors. The practice specialises in the Residential sector offering a Full Design and Planning service for Home Owners looking to extend their family homes, Residential Developers, Housing Associations and Land Investors looking to develop investment land and properties. We provide a professional Design and Planning service to home owners looking to extend their homes, clients looking to develop and sub-divide land for new build plots and clients in Rural areas who are looking to convert Barns or obtain Planning Permission for Stables, Menages and Paddock land. AVD provide the client with design solutions that reflects aspirations, needs, values and cost. The practice builds itself on delivering high quality architectural design solutions from conception through to detailed designs, with aesthetic designs reflected in the built form and at the same time acknowledging sustainable design. Manufacturers of Culture + Design; We Make spaces, objects and buildings through the disciplines of Architecture, Interiors and Environments. How do I choose the right Ashby de la Zouch, Leicestershire architect? Begin by determining the type of architectural service you require. Is it merely advice that you need? Or a detailed set of architectural design plans? Are you hoping to add a single-storey extension or are you really looking for someone to design you a custom home and handle construction management right through to completion? One of the most important duties of full service architects in Ashby de la Zouch, Leicestershire is to serve as project managers and supervise most aspects of construction as well as facilitate communication between all other contractors. Architecture is an incredibly technical profession and one where getting things wrong can literally put lives at risk, so do background checks on your Ashby de la Zouch architect. Check they are registered with architecture associations such as the Architect’s Registration Board (ARB) and The Royal Institute of British Architects (RIBA). Being part of an architecture association means that an architect or architecture firm has met certain standards, qualifications and practices, and can be held accountable if they don’t meet these standards. It’s advisable to choose architects that specialise in the kind of project that you are undertaking as their existing experience will shine through in the completed design. Look for an architect in Ashby de la Zouch, Leicestershire that can provide references and reviews of their previous work. Once you have determined the service level you need, your next consideration will be architectural style. Some architects specialise in designing for traditional housing such as period cottages and country homes, or even in designing modern replicas in a period style. Others have a knack for imagining bolder, more futuristic architectural design in Ashby de la Zouch, Leicestershire incorporating the latest green technology. Check their Houzz profile and website for examples of previous work. Early on, try to gauge availability – there’s no point in choosing an architect that’s going to be booked for months if you have a tight deadline. Some architects are happy to do all their work online or over the phone with you, but if you’d prefer to work with an architect in person then check that your chosen architects in Ashby de la Zouch, Leicestershire will travel to you. At the first meeting, preferably at your property or building site, give as clear a picture as possible of the kind of home you are trying to create to your architects. Chat through your goals, projected budget, scope of work, schedule and feedback, together with any very specific requirements you might have. It is crucial that your architects are clear about their responsibilities and that these are documented in the contract. Ask them to walk you through the process, including the number of architectural design consultations, site visits and what they will be delivering and when, e.g. feasibility study, a technical drawing, tender package and/or planning application drawings. They could illustrate this using a previous client’s project. Also, what does the architect need from you? Deeds, rights of way, deposit, staged payments etc. Once you have covered all this detail, you are ready to make your choice and get started. The architecture company in Ashby de la Zouch, Leicestershire that you hire will likely start with concept drawings and finish with construction drawings and documents. Some firms even design with 3D renderings, CAD and videos, but this is by no means essential. You are looking for architects in Ashby de la Zouch, Leicestershire that have the right balance of creative flair, technical nous, practicality and impeccable service to see you through. Get a sense of whether they are a good listener, collaborator and problem solver. Checking their references will also be invaluable at this stage so look at their Houzz profile for past customer reviews. Ask to speak to previous clients, particularly regarding their responsiveness and ability to work creatively around a budget. There is no set payment structure for an architect. Some Ashby de la Zouch, Leicestershire architects will charge an hourly rate, others base their fees on a percentage of the total construction cost or propose a fixed fee (payable in instalments) for projects such as house extensions or a complete home design. You may wish to pay in stages to safeguard against any possible dissatisfaction with the quality of service. Make sure the total figure and payment schedule is agreed as part of your contract, particularly if you are trying to accurately estimate the cost of building a house. What are the important questions to ask architects in Ashby de la Zouch, Leicestershire? How long have you been an architect in Ashby de la Zouch, Leicestershire? Are you part of ARB and RIBA? Are you part of any other associations of architectural design in Ashby de la Zouch, Leicestershire? Find architects in Ashby de la Zouch, Leicestershire on Houzz in the Find a Pro section today. Start by browsing the architects and Ashby de la Zouch, Leicestershire architectural design firms near you and assess their reviews, latest projects and contact details.